The mini rodini™ Seahorse Summersuit is an environmentally-friendly romper that she'll want to wear time and time again. A red seahorse-printed playsuit made from a luxurious Tencel™ modal with a hint of stretch. Round neckline with a Peter Pan collar. Dolphin hem on the shorts. 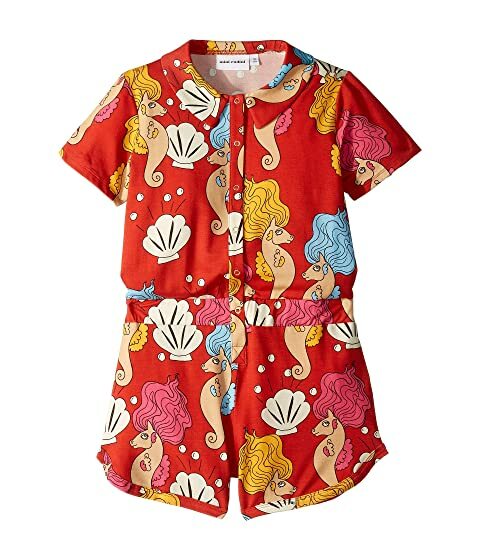 We can't currently find any similar items for the Seahorse Summersuit (Infant/Toddler/Little Kids/Big Kids) by mini rodini. Sorry!